There is a technique I've been meaning to try. In truth, I have tried before, but never with satisfactory results. 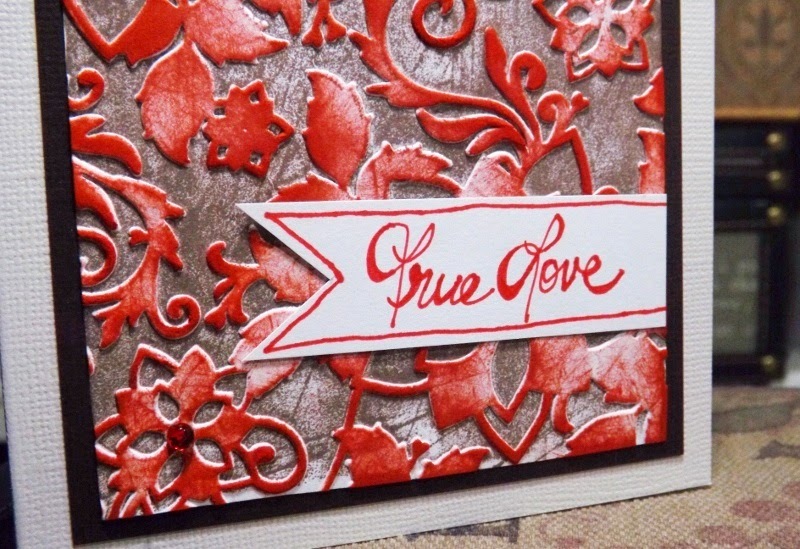 The technique is faux letterpress with an embossing folder. My first attempt, the ink bubbled on the plastic embossing folder. It would not lay flat and create any sort of decent coverage. Now, I wonder if it was the folder. Perhaps different companies use different plastics. 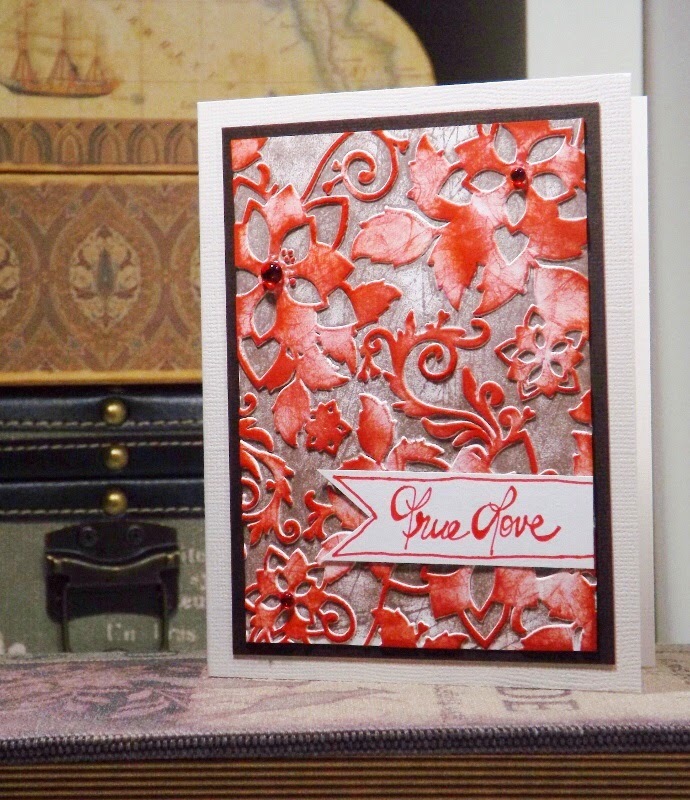 I tried these cards with a brayer. I heard it provides more even coverage. Personally, I found that the direct to embossing folder technique worked better than the brayer. Even though it still does not get perfect coverage, it gets enough to look vintage or shabby-chic. 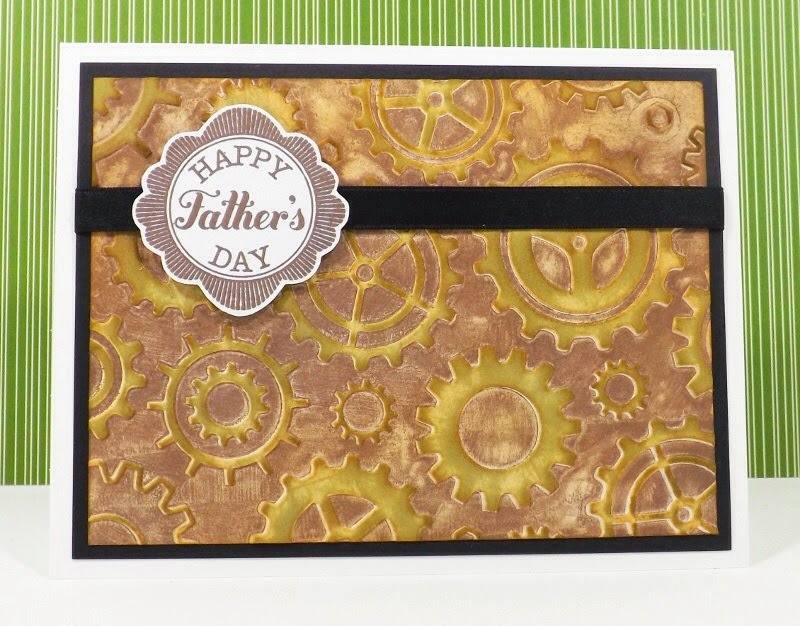 I made this Father's Day card for my dad with a 5x7 gears embossing folder made by Darice. What allows the less-than-full coverage to work is filling in the gaps with a patina colour: rust, or green, even a darker shade of brown. 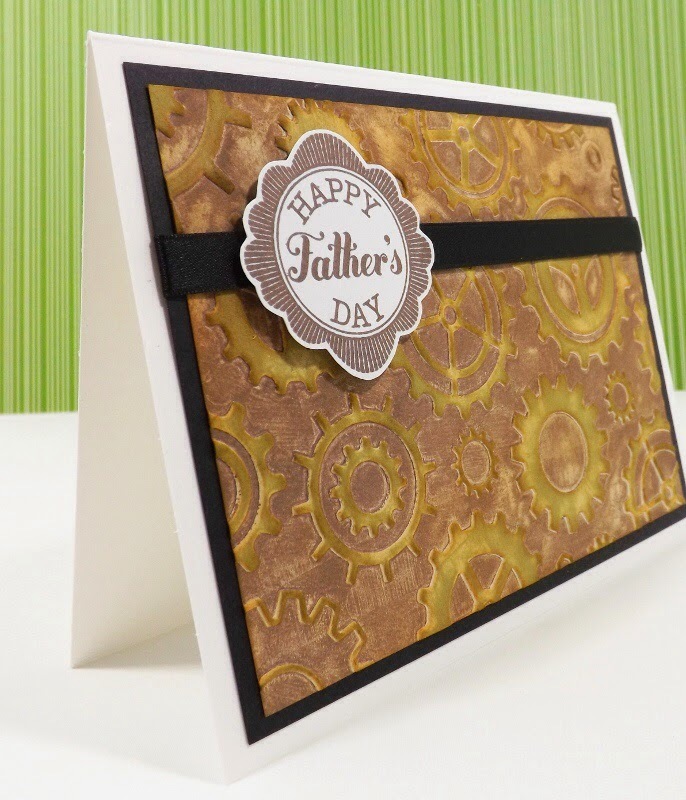 On this card, I used a dark brown on the folder, green on the raised gears with a direct-to-paper technique and then sponged a lighter brown all over the whole thing. I made another with the same technique. This one, I gave to a couple getting married. I used the same dark brown on the outside and then red on the raised floral pattern. You can see what I mean by the less-than-full coverage on this wedding card since I did not use a third colour to fill in the gaps. I hand wrote the sentiment. These cards came together fairly quickly. FINALLY - a satisfactory result!